The time has come to talk about sardines. As a nutritionist, I’ve been recommending sardines to just about anyone that will hear me. The thing is. I don’t like sardines. I believe my failure to embrace them sprouted from my inability to love them. It starts with my husband. My husband has a loving relationship with that little nutritional powerhouse of a fish. He’ll happily open a can and with naught but a fork dive in eagerly, moaning in pure sardine ecstasy at every bite. Cautiously excited, I took my first bite and it tasted nothing of that paradise my husband painted and everything of fishy, unpalatable anti-paradise. “So how do you eat them?” people would ask me. For a year I’ve been eating them occasionally. Always out of the can. Always suffering through them. Due to health concerns, my mother has been advised by several different doctors, to eat more fish. I had been pushing sardines on her for a while but obviously my pessimism had never made a compelling argument. This Saturday she finally agreed to try some for breakfast and I couldn’t afford to have this one chance she was giving me be as underwhelming as my first and only experience with sardines. 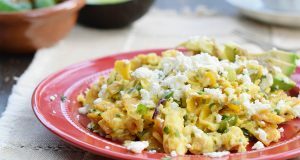 We ate them with corn crackers (tostadas), avocado, cilantro and a big pour of fresh lime juice. And guess what? It was not bad. It was actually quite pleasant. A light meal and fresh taste, reminiscent of beaches and calm days under the sun. Who would have thought it was that simple! My mom is ordering a big batch of sardines in marinara sauce. And I’m on board too. These are very Mexican beach flavors. I highly recommend the corn crackers instead of regular crackers, and while you’re at it make sure they’re made from nixtamalized corn and they’ll taste superb. I like to buy the Salmas from Sanissimo brand. I used to have to bring some back every time I visited Mexico – but Whole Foods at the Woodlands just started carrying them! Pacific sardines are featured on the Super Green List of the Monterey Bay Aquarium’s Seafood Watch. This list highlights the best of the best in seafood and recognizes only the best choices for the ocean and human health. 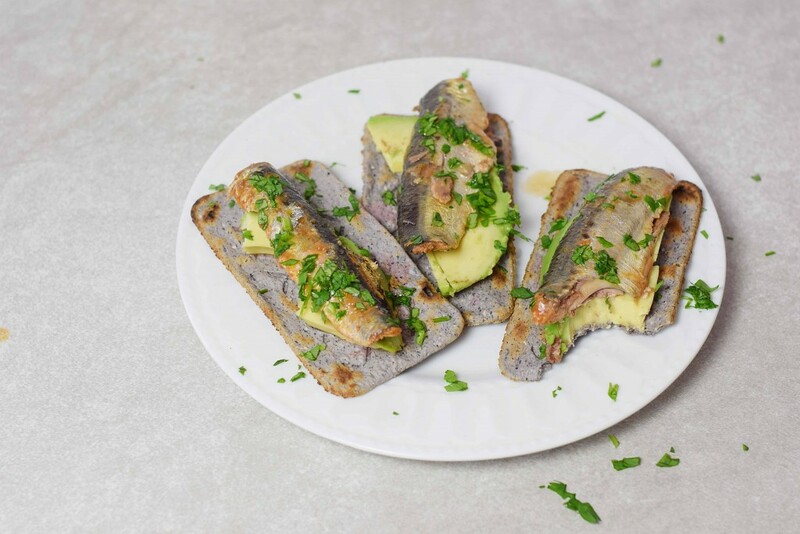 Pacific sardines are a great choice in terms of sustainability, low levels of mercury and awesome omega-3 fatty acids. With a fork, cut sardines in half, lengthwise. Do not de-bone, the bones are edible and highly nutritious! Alternatively, you can mash the sardines up. * I use Wild Sardines in Marinara Sauce by Wild Planet. I like to buy them in marinara sauce as they taste less strong when eating out of the can. 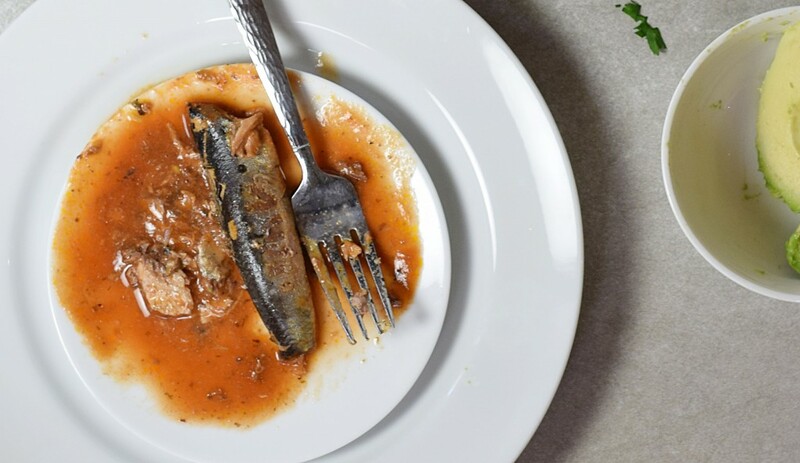 You can use sardines in water or sardines in olive oil just as well! 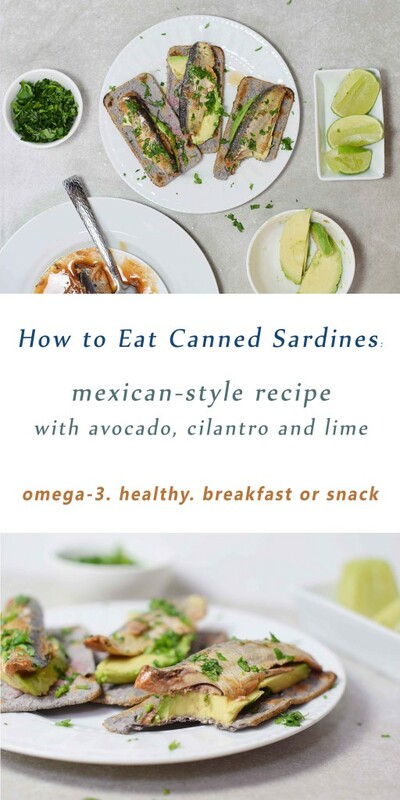 How to eat canned sardines: my avocado-cilantro-lime version in 50 seconds! Hi! Thanks for reading! I’m a certified nutritionist exploring the local & sustainable foods scenes in The Woodlands and Houston! Keep in touch and follow me! As of 2017 my sister and I just opened an outdoor dessert café – check it out! I couldn’t be more excited! Morning … I’m truck driver is it ok to eat sardines in the a.m. I think it’s ok but since you are the expert on this topic.i been eating sardines since I been a kid.I used to prepared them as how my parents taught me too it’s so easy we used and continue to eat them I and my fiance Mari Cardenas she diced the tomato and onion cilantro and some Chile Verde we call it Chile de Amor meaning Chile de Amordidas oh and a few lemons it’s very good is it safe to eat sardines every day maybe like 3/4times a day every day or what do you think ma’am we get the Mexicans we call it portolas..
Hi Ramon, Thanks for your comment. As a general rule it’s always good to vary one’s diet and not eat too much of any single food. But sardines do offer inexpensive, excellent nutrition including lots of protein and omega-3 fatty acids, with little drawback. You might just want to check for sodium levels in the can and and make sure the rest of your food intake isn’t very high in salt. It’s a good thing you enjoy sardines! My wifes Filipino recipe is sardines , i like and recommend the tomato sauce for this recipe, she sautes onions adds the sardines with a dash of soy sause i also add a dash of Worcestershire sause and garlic powder or saute mince garlic with the onions, heat through and put on a bed of white rice. I like to use one can of spicy and one can of regular in tomato sauce. Fantastic recipe! 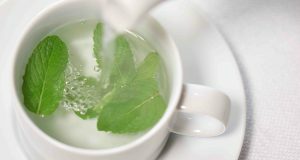 It’s simple and very good for you as well. You definitely should! 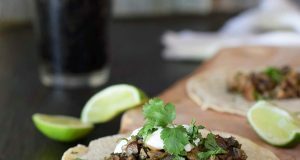 They’re a nutritional powerhouse and yummy with fresh lime! Totally cool and a recipe idea that I have never seen before. Thanks, Peter! Hope you enjoy! 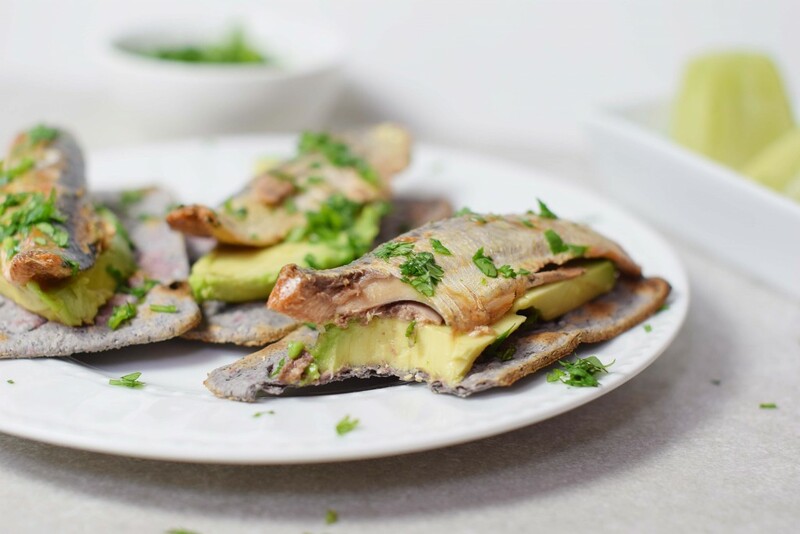 I have always avoided sardines, but I’ll admit, I might be able to stomach them with some fresh lime and avocado like you have here! They actually look appealing to me! I avoided them all my life until now! I think it’s time to embrace sardines – and avocado and lime just made it easier than ever:) Thanks for your comment. My husband loves sardines and he buy them often. Great recipe! Same here!I mooch some when I’m feeling the need for protein and omega-3 awesomeness. 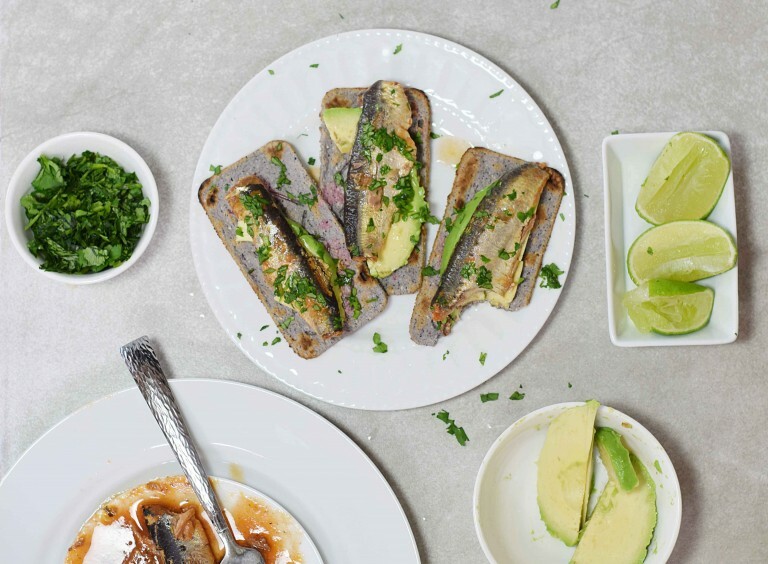 If he already loves sardines he’ll absolutely love this recipe – and it’s so easy! I had never seen that before. I’ll have to look for them next time I go grocery shopping!